In May 2018 Anno Domini I was blessed to finish my dream goal race for the last few years the Ultra Trail Australia 100km in the Blue Mountains of NSW. I have raced here many times, but this was by far my toughest race, and the 24hours with an outstanding crew helping me at CP4 and CP5 was a memorable experience I will always treasure... Veni Vidi Vici thanks to the Creator. A week before I had great doubts I would even make it to the start line, but everything came good when it counted. So much to be thankful for. Was fantastic seeing a few other Perth based people racing too. Unforgettable weekend. Lifelong special memories for me. Helped to erase some of the pain of traumatic family crisis and extreme financial challenges this year. Gorgeous adventures on the trails, racing, and revisiting the Kattamorda. Have spent lots of time since 2017 training and explkoring various Perth hills trails. Managed to volunteer at, and race in some Perth Trail Series events which as usual was fantastic. Had a 30min PB in the half-truth 25km in Serpentine-Jarrahdale, and managed to do the race on Eagle View trail for the first time. In May 2018 a week after the UTA 100km I spent time with about 12 extremely experienced trail runners (mostly TNF/UTA100km runners) doing the 30km Kattamorda UP run. Fantastic experience. Also managed to run my 12th Perth Marathon in 4hrs 15minutes along the beautiful Swan River. My 31st road marathon finish. Hope to be on the Kattamorda again at some free events in September 2018 for some relaxed free events. Have started adding videos to the TTT Youtube channel it can be discovered at; https://www.youtube.com/channel/UCWCYrYE68jVcOjfDEl5E_2Q Current playlists include KATTAMORDA and GORGE, although they are both still in the early stages of development. Kattamorda Up Run on 19th July done in 5 hours 4 minutes, with the last 2 hours rather nocturnal. Was able to follow the Kattamorda from Bickley to near Victoria Dam, Canning Rd, up through WNM to Patterson Rd, Walnut Rd. Followed the new version of the Munda Biddi from Walnut Rd alongside Lockwood Rd to Gungin Rd, then Mt Gungin. Then the tricky section past the powerlines and via "Mercury St" to the Dell on Mundaring Weir Rd, followed the KHT most of the way to the Weir, with some slight detours around the Aborigines sign section, and the Bibbulmun track near the Weir dam, to the Weir Hotel and Jacoby Park, then followed the KHT closely up to Mundaring. The last 90min was nocturnal with a headlamp, and total time on the trail 5hrs 4minutes, with strava moving time listed as 4hrs 17min. It rained a fair bit, but was a fairly successful UP run, and probably the most accurate UP run in recent times, although the section near the Weir was slightly off track in a few spots. A significant milestone, but still more to be done to have a more accurate UP run in place, but this was very close to fully accurate to the 1988 route in my opinion. An accurate DOWN run with less MundaBiddi deviations is a logical next mission along with some minor tweaks to the UP run route. A few new KHT markers were uncovered. New markers found near the dam overflow and the Weir Hotel. Six of us explored the Kattamorda and MundaBiddi with great success in discovering the KHT! A fantastic morning exploring the Kattamorda Heritage trail. Four of us made it as far as the Aborigines sign, while the other two headed for the MundaBiddi for a section. We also explored parts of the Bibbulmun, Oconnor Trail, Weir Walk, Kep Track, and Munda Biddi. An amazing day, and hopefully the first of many. Sunday July 9th @ 0645am. 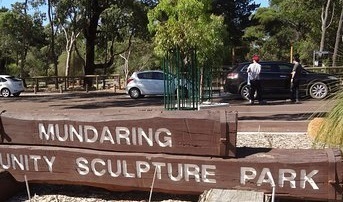 Meet at Mundaring Sculpture park carpark, corner of Jacoby Street, and Nichols Street. Historic Kattamarda exploring Sunday soon. Years of significance including the 145 year old Munday bridge in Bickley (6hrs) ....bring hydration pack and drinks. Discover more than a century of trails treasure! Come for 30min, 90min, 3hrs, 5hrs or 7hrs... Bring sufficient drinks , leave car in Mundaring. Maps will be available. On 25th June 2017 ADI located the Munday bridge which I have visited previously a few years ago with an excellent trail running group. On 25th June 2017 A.D. 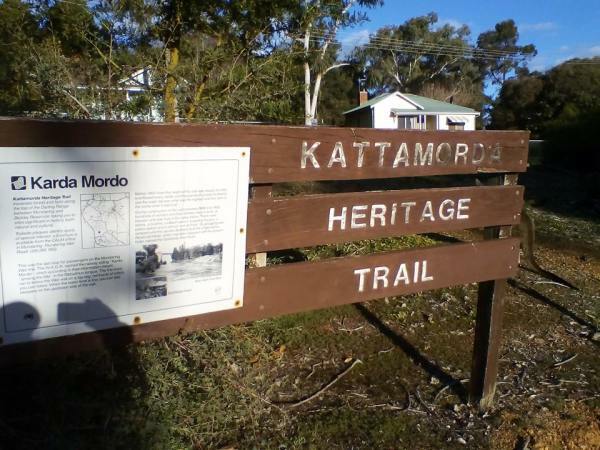 I went on a 4 hour run around the Bickley Dam and Victoria Dam area to locate remnants of the Kattamorda trail which is now also known as the Kardamordo Trail. 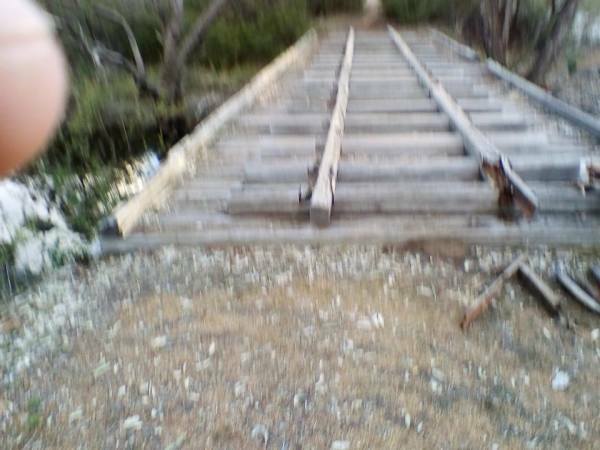 Rediscovering the oldest wooden bridge in Australia which I had seen a few years earlier and was restored in 1988 as part of the Bicentenary project was a major priority which I eventually achieved. Ben H. is probably one of the best local "trailmasters" for the Bickley trails. Another person who knows the Bickley trails well is Bernadette. She is a famous world class trails expert (7th at UTMB in recent years and Bibbulmun Track (almost 1000km from Kalamunda to Albany) recordholder . She has recently been restoring the 27km Kardamordo trail from Mundaring to Bickley with some assistance from Perth Trail Series connected people. I have been inspired and intrigued by te development of this project in recent weeks. 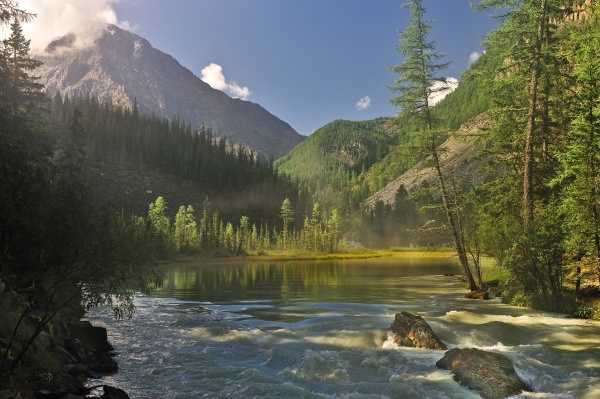 Its an epic and historic route steeped in various versions of usage in more than a century! Quadcruncher, Red Triangles, and more.